Food & Beverage applications require pumps to be efficient, gentle with the product being pumped and highly CLEANABLE. D.L. 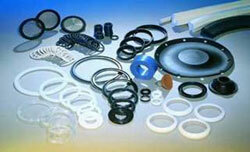 Thurrott, Inc. only offers Food & Beverage pumps that meet the highest industry standards, e.g. 3A, USDA, FDA, USP Class VI elastomers, and EHEDG to give the user peace of mind for the process. Pumps of all types are available, centrifugal and positive displacement, backed by D.L. Thurrott, Inc.'s in-house design and engineering capabilities to provide not only pumps, but individually designed and built skids and systems to meet any requirements. More information on pump solutions for the Food & Beverage industry can be found here. Compressed air is commonly used for the conveying, packaging and labeling process in the food industry. Where direct contact occurs, oil-free compressors are used. For occasional contact applications, lubricated compressors using food-grade oils are common. Compressed air is also used to generate nitrogen in the food industry for padding purposes. More information on air solutions for the Food & Beverage industry can be found here. Food and beverage companies continually develop new products to meet the ever changing demands of today's consumer. We are able to respond by providing durable and safe aseptic sealing solutions. 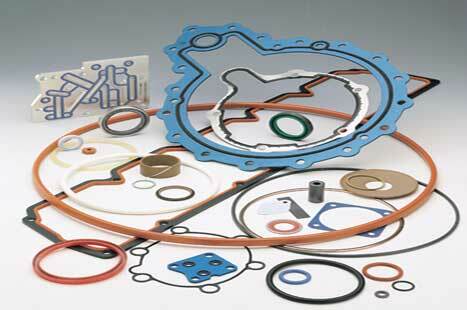 We design and fabricate a complete line of FDA, NSF approved seals, gaskets and custom hose assemblies. More information on sealing solutions for the Food & Beverage industry can be found here.